Illinois REALTORS was recognized for its work with the Bicentennial Plaza on Deec. 3, 2017, at a ceremony at the Abraham Lincoln Presidential Library in Springfield, and at an event held at Navy Pier in Chicago. Illinois REALTORS® President Matt Difanis, former president and state Bicentennial Commmission member Jim Kinney, Gov. 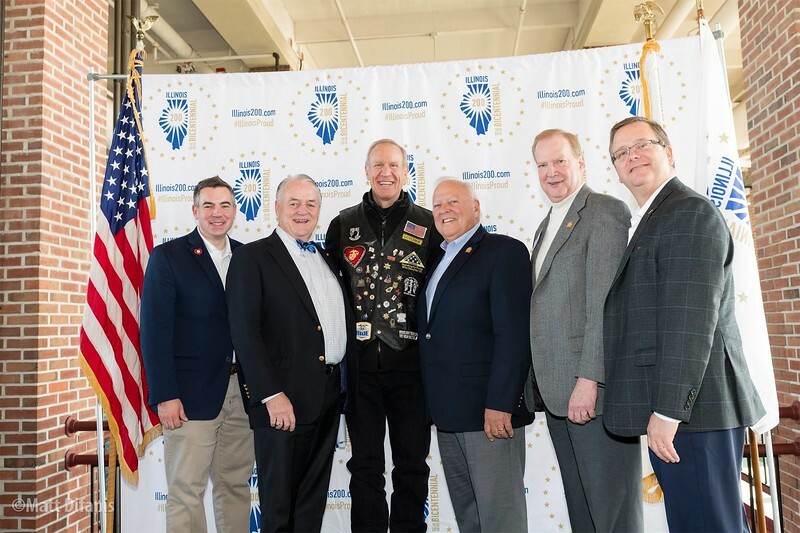 Bruce Rauner; Illinois REALTORS® CEO Gary Clayton; Immediate Past President Doug Carpenter and President-elect Dan Wagner at Navy Pier where a ceremony was held marking the kickoff of the state's 200th anniversary.